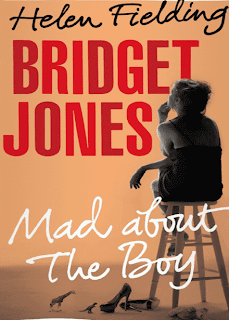 Pondering these, and other modern dilemmas, Bridget Jones stumbles through the challenges of single-motherhood, tweeting, texting and rediscovering her sexuality in what SOME people rudely and outdatedly call ‘middle age’. Bridget Jones is a confused widowed mother of two who leads an undisciplined life and in spite of being of fifty one years of age is highly uncertain about what she wants from life. She is witty and insecure. More importantly, she is ALONE. Her friends, Thalitha, Tom and Jude are people who strive hard to make their friend’s life better and happier. They stand by her and offer best advice. However, many a times, they fail to understand her. Roxster is a YOUNG and sensitive man. He is in his late twenties and has a heart for Bridget. His love is uncorrupted and immature at the same time. Billy, Bridget’s son and Mabel, her daughter and PERFECT; they talk and behave to their age and ooze with childish innocence. Mr Wallakar, Bridget’s children’s school-teacher is sensible and a man with a past. He is mature and organized. Rebacca, Bridget’s neighbor is all ears for Bridget. She fills the vacuum in Bridget’s life. Other characters like Bridget’s mum... Chloe – nanny... the leatherjacketman.... and so many others.... They all leave a mark! The book is a joy read. It is a little over 200 pages and an assured page turner. I particularly enjoyed the writing style. It has dates and times. It gives us a feel that we are skimming through the diaries of Bridget Jones. There is no lame elaboration or descriptions. It is a journal of several events that unravels gradually. It is witty and the editing is very crisp. I loved the parts involving Bridget and her kids. Though I don’t want to give away the fun, I have to admit that I loved the nits bit. It was funny and ouch, I almost felt like my scalp is itching too! I don’t understand why Bridget and everyone in her life think that there is no life for her without a man in her life. Her desperate attempts to find a man coupled with the plethora of ideas about how-to-find-a-right-man is a little too irritating. Many a times it makes us wonder when the book will end. If the writing and editing was not crisp enough, then, the book would have been a boring and exasperating read. Further, I couldn’t comprehend how beautifully the book’s title blends with the plot. Yes, if you enjoy chick-lit. And if you want to kill some time and if you are also feeling as lonely-uncertain-single as Bridget herself!